A pair of men was arrested early Thursday morning for allegedly conducting a drug transaction on the steps of the Enrollment Services building of the Passaic County Community College, according to Passaic County Sheriff Richard Berdnik. 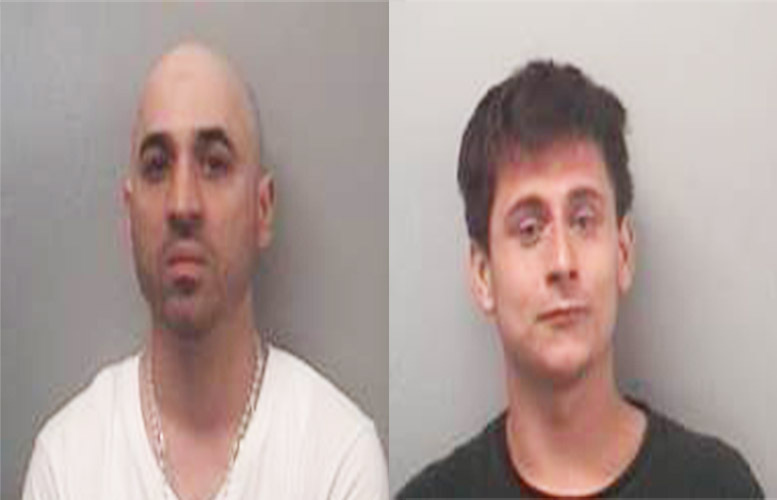 Jimmy Romero, 38, of Paterson, and Daniel Padilla, 26, of Suffern, NY, were arrested on drug charges at around 3 a.m. Authorities saw Romero conduct two drug sales from a Nissan Maxima and steps of 225 Market Street. Padilla (right) was observed speaking to Romero (left) and then handing cash in exchange for several white objects. Five bundles of heroin and two bags of crack cocaine was confiscated from Padilla. Romero told authorities he had “hard and powder” in his vehicle. Authorities recovered 68 baggies of crack cocaine, 17 baggies of cocaine, and 7 bundles of heroin.